Where in the world? 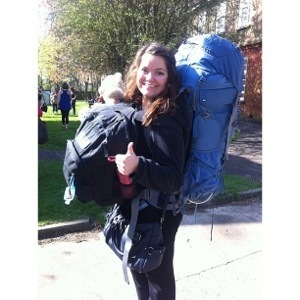 | Follow me as a travel to England to know God more and make Him known to the world! Follow me as a travel to England to know God more and make Him known to the world! As I am approaching the 5th week of outreach and the 4th month of DTS, I am learning that life is one crazy, beautiful, wild, unpredictable, exciting adventure. Full of potential, possibility, and growth. In this crazy, beautiful, wild, unpredictable, exciting adventure we will experience pain and hardships but with God there is ALWAYS joy and a reason to be thankful! One of the biggest things I’ve been learning on outreach is how God truly desires to use my story to inspire, encourage, and bless others. Your life and story hold an amazing purpose and is meant to be shared with others. You’ll never know how much your story could impact/encourage/challenge another person. Don’t be afraid to reach out! God has really been teaching me how to love people as He loves them – unconditionally. Despite different circumstances in life, cultural differences, language barriers, etc. We are called to love as He loves. We’ve officially been in Tirana, Albania for one week and it has been incredible so far! I am absolutely loving how beautiful, warm and sunny it is here! Such a nice change from the cold winter I’ve just spent in England 🙂 Despite the occasional language barrier, the people of Albania are very friendly and welcoming. 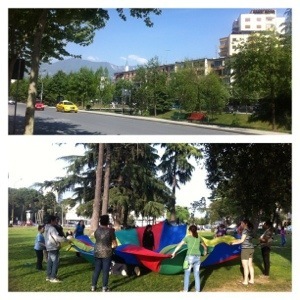 We’ve been working with an international church in Tirana doing various different ministries. The Albanian culture is very relational so we’ve been doing things like youth cafe hang out nights, worship nights, and just hanging out/playing with the local kids in a park nearby. One of my favorite ministries I’m involved in here is helping out at a local orphanage. I got to cuddle babies all this morning so my heart is very happy 🙂 The orphanage is very nice and the kids are very well taken care of but caring for orphans is never an easy task and the staff could always use more helping hands. We’re hoping not only to be a blessing to the precious kids, but to the staff as well. 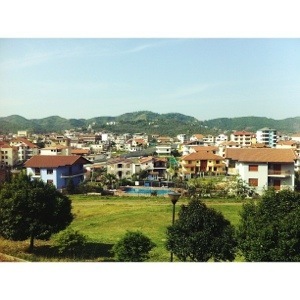 This first week has been amazing and I am so excited for the next 5 weeks in Albania! 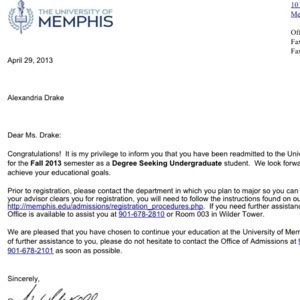 I am so excited to be returning to school in the fall! Shout out to my amazing advisor, Betsy, who has been helping me register for classes while I’m on the other side of the world! First of all, Happy Easter! He is RISEN! AMEN! What a mighty King we serve! After spending a week in Wrexham, Wales for a UK DTS gathering focusing on evangelism, we went back to Harpenden and spent our last week in the classroom. It’s so hard to believe that lecture phase is over and outreach phase has officially begun! We’re halfway through! The first three weeks of outreach phase will be spent in the UK – first at Easter Camp, and then on to Liverpool. 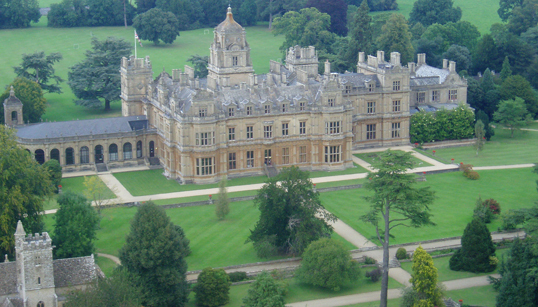 The camp grounds are located at Westonbirt School in a small town near Bristol and Bath. It is absolutely GORGEOUS here. I feel like I’m living in a castle or on the set of Pride & Prejudice! We’ve been spending most of the day preparing and training for this week but once the campers arrive tomorrow, we’ll hit the ground running! I’ll be doing all sorts of things as an officer – I’m a dorm leader for a few 13-14 year old girls, I’ll be helping lead a bible study on 1 Peter, and I’ll also be helping organize/run games and activities! I can’t express how excited I am for the campers to get here! I know God has some awesome things in store for this week! 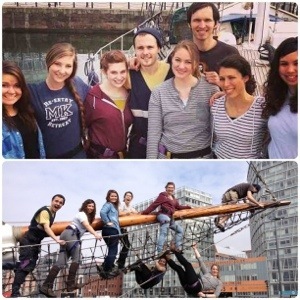 After we leave Easter Camp on Sunday, we head straight to Liverpool to work with the Next Wave – a YWAM ship ministry that is currently docked in Liverpool. 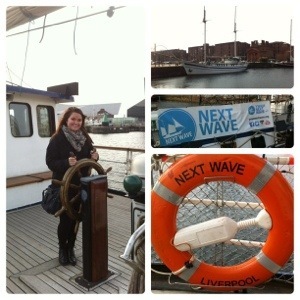 There we will be living on the ship for two weeks and working with the crew in several different ministries. 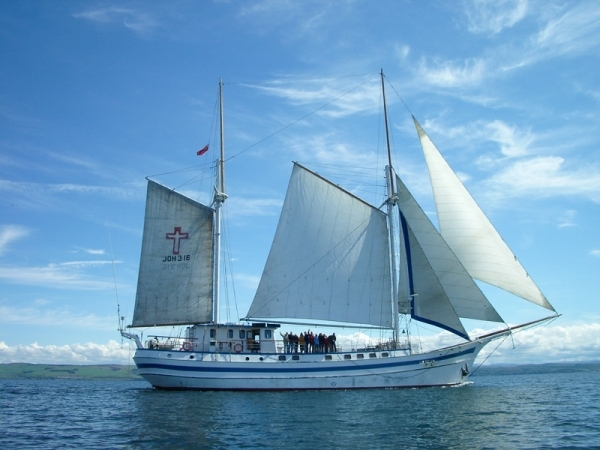 We will have the opportunity to work with troubled kids in the local area – bring them on board and show them how to tie knots, raise sails, and just really love on them. We’ll also be doing a lot of homeless ministry and other various things. I am SO pumped. After our two week stay in Liverpool, we’ll head back to Harpenden for about two days and then leave for our six week outreach in ALbania! These next three weeks are definitely jam-packed but I am thrilled to be out there serving and sharing the love of God! So it’s been three weeks since I’ve been here and I cannot believe I have not written an update blog yet! Life has just been so exciting and busy that I haven’t had time to sit down and write about it. And I honestly have no idea how I’m going to fit the past three weeks into one post – but I’m going to try! 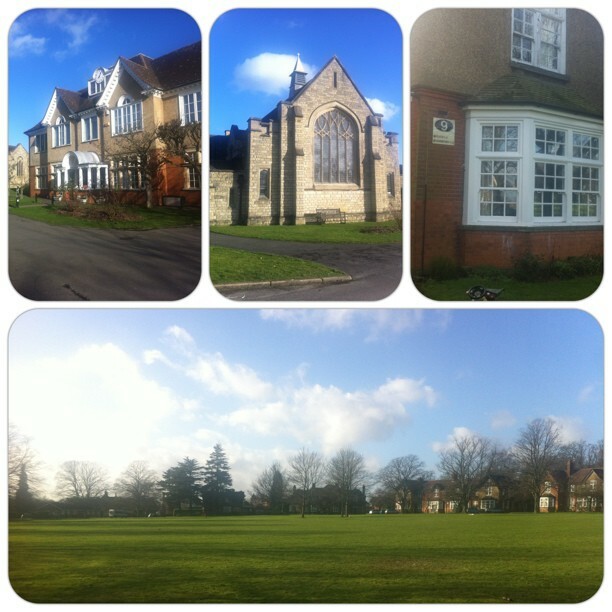 Welcome to the Highfield Oval aka the YWAM Harpenden base aka my new home! And that’s exactly what it is – every since I first stepped foot on base here it felt just like home. The bottom photo is of the Oval – it’s literally a huge round oval with all of the buildings on the base going around it. On the top right is the clock building – where all of the offices are, the mailroom and the Oval Cafe are also in here! In the middle is the chapel – my favorite building on the Oval. It’s an old, small chapel with beautiful stained windows and a lovely little prayer room in the basement where I like to spend my quiet times with the Lord. Work duty – each of us are assigned to different jobs around the base. I started out working in hospitality (the hotel where speakers and guests stay) ironing sheets, vacuuming, etc. But now I’m on meal clean up team so I work in the kitchen cleaning and doing dishes! On Sundays we all go to different churches in the local area – I’ve been going to Salvation Army which is totally different than what I’m used to… but really interesting and all the people there are wonderful! One weekend out of every month, Harpenden has a farmer’s market with all kinds of different and exotic foods. 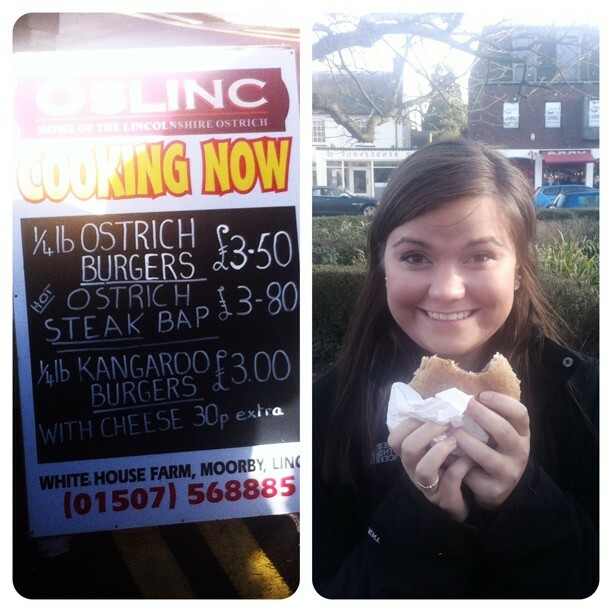 So last weekend I went and tried an ostrich burger – which was surprisingly delicious! I’ll have to try the kangaroo next month! 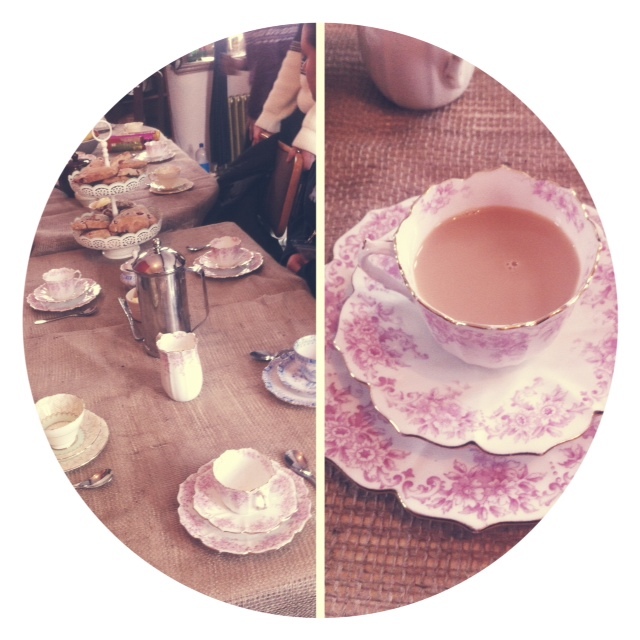 I’m definitely enjoying the English culture – we drink so much tea! I love it! The first day I arrived we had a proper English tea party while listening to the 10th anniversary Les Miserables soundtrack. It was absolutely wonderful. I even learned how to make a proper English cup of tea! The classes have been incredible. God has been challenging me and growing me and changing my perspective so much and it’s only been three weeks! Each week we have a different “theme” for class. So far we’ve covered the following topics: The Nature and Character of God, The Father Heart of God and Relationships. And oh my goodness, each week God has been completely wrecking me, growing me and taking me more in depth with Him than ever before. The Lord has really been teaching me about who He truly is and who I am in Him and it has been simply amazing. I can’t wait to see what else He has in store! I promise I will try to update more regularly. Trust me, I want to document as much of this as possible! 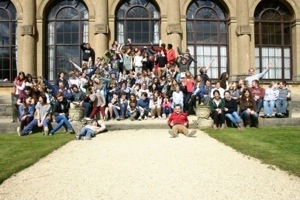 Next weekend we will be going on a weekend outreach trip to London so definitely be expected a recap post on that! Once again, I cannot thank everyone enough for your prayers and support during this time – it means the world to me! This is all so surreal…. I just said my goodbyes to my family and my wonderful boyfriend. Now I’m sitting at gate B7 waiting to board my flight to Atlanta where I will board another flight to LONDON! So crazy. Just goes to show that absolutely nothing is impossible with God! The fact that this is even happening is a complete miracle and I am so very grateful. Glory to God! Through every little detail of every step of the way, He has been right there beside me working everything out. 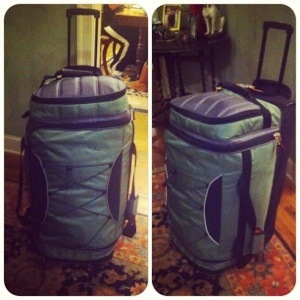 I, with Lucas’ help of course, somehow managed to stuff six months worth of essentials into one rolling duffel. Crazy, right!? Actually, it was pretty much all Lucas’ doing (what would I do without him!?). As I’ve been preparing to leave these past few days, I’ve been absolutely overwhelmed with love and support from so many people. All of the texts, Facebook messages, tweets and kind words have made my heart so happy. I am beyond blessed to be surrounded by such wonderful people. Shots, passports and visas, oh my! This past week has been productive! First, I said a bittersweet goodbye to my beloved car, Heidi. 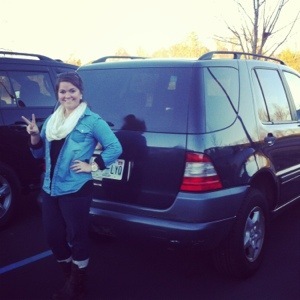 I'm sad to see her go, but grateful for how she will help cover some of the expenses of my DTS! Second, I took a trip to the Shot Nurse to get my Yellow Fever and Typhoid vaccines. Not very fun… But better safe than sorry when traveling to my outreach location! 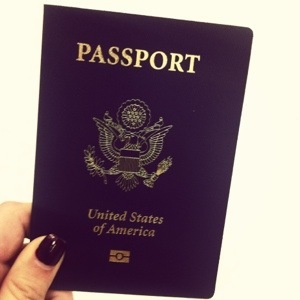 Last but certainly not least, I finally got my passport in the mail! Such a relief and one step closer to making this happen! Next up is getting my religious worker’s visa so I can live in the UK for several months. Please pray that the visa process goes smoothly and according to plan – this is a super important piece of the puzzle! Ahhh my departure date is getting closer and closer – so excited! And I cannot wait to share every step of this adventure with y’all! I am so excited to tell you that soon I will be packing up and leaving for England! I’ll be living in a small town called Harpenden – about 45 minutes outside of London. What in the world am I going to be doing there!? Glad you asked! I have been presented with an amazing oportunity to participate in a 6 month program called Discipleship Training School through YWAM (Youth With A Mission). What the heck is YWAM!? Youth With A Mission is an international volunteer movement of Christians from many backgrounds and cultures, dedicated to serving Christ throughout the world! What the heck is a DTS!? Lecture phase – learning more about how amazing God is and growing spiritually! Outreach phase – Putting what you’ve learned into action by going on an evangelistic and service-based outreach to another country and sharing Christ with those who need Him most! 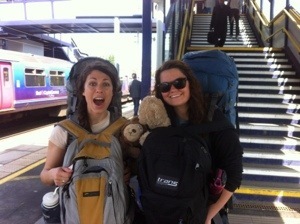 Basically, this is the most exciting and life changing adventure I could ever hope to be a part of! The most important thing you can do for me is to pray for me as I go through this transition in my life. I need prayer for wisdom, discernment, protection, and direction and for God to transform my life! I know that there is power in prayer, and I appreciate you taking the time to help me in this way. Another prayer concern is for financial support. The fees for this school involve not only school fees but also my living and travel expenses over this six-month period. I ask that you would prayerfully consider giving towards this endeavor and if you do feel led to support me financially, I will be forever grateful. If you do feel led to contribute, you can do so through a secure donation at www.indiegogo.com/AdenYWAM. You can also feel free to send checks or cash if that’s something you’re more comfortable doing! Please know that you are not only investing in me, but also investing in the kingdom of God! I am so thankful for this privilege to serve the Lord and learn about Him in many new ways. I want to thank you in advance for your prayer and any financial gift you may feel led to give. Please feel free to contact me anytime with questions, concerns, or just to talk. My email address is aden_drake@yahoo.com. You can also find me on Facebook, twitter and you can of course follow me through this journey here on my blog!